Mobile phone makers have for years been paying for placements in the movies. The best-known case, perhaps, is Nokia’s 8110 in the 1999 The Matrix. 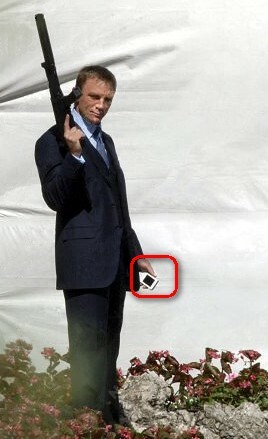 As I remember, the phone had a central role in that movie, but the role was quite logical. The latest Bond movie, Casino Royal, recently. The main part was played by Sony Ericsson mobile phone. The leading supporting actor Daniel Craig was quite good and I had to admire the marvellous job his make-up team accomplished. Sony Ericsson, unfortunately, did not succeed equally well. The director Martin Campbell kept pointing the camera to the Sony Ericsson K800, but its performance was woody and incomprehensible. In comparison, the playing cards in the loooong gambling scene, were quite animated. Having your name constantly in the center picture does not make you a good actor or give you a working part in the plot.